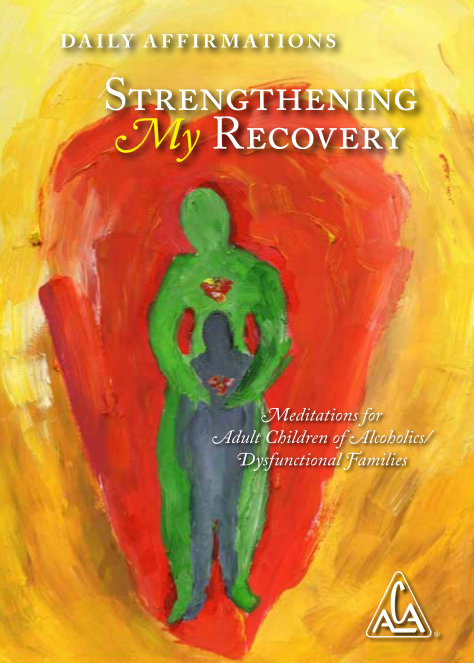 Adult children learn a lot of things growing up in a dysfunctional home. Unfortunately, one of the primary things we learned was not to trust. We learned to place a wall around us for protection from pain. This wall follows us into adulthood and shadows all of our relationships with acquaintances, friends, co-workers, and most importantly, our intimate relationship with a partner/spouse. We find that, unlike our family of origin, a healthy relationship calls for a degree of trust, something so foreign to us that our safety feels threatened. When given the choice to let down our guard and allow someone to breach our protective wall, some of us choose to either prevent or end a relationship. We fear failure but sabotage our own success. As we get emotionally stronger in our ACA recovery program, we start removing the bricks from our wall, knowing that now we can accept what life brings us with the love and support we have for ourselves, as well as from our Higher Power and fellow travelers. On this day I will continue to grow emotionally with the knowledge that ACA and my Higher Power will guide me in gaining the strength to trust others.